A historic plantation dating back to the mid 1700s has just been listed at $14.95 million. The three-storey brick Georgian/Colonial Revival mansion was built between 1750 and 1755 by Robert “King” Carter who originally purchased the land in 1709 according to Pilot Online. The detailed 18,709 square foot residence includes nine bedrooms, nine bathrooms, 17 fireplaces, and an abundance of extremely detailed woodwork throughout. 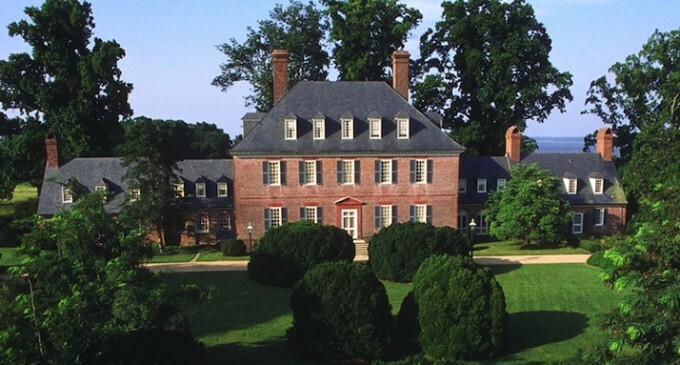 The estate spans 400 acres with over a mile of frontage on the James River. Today this unique estate is offered at $14,950,000 under specific preservation covenants. To see the full listing click here.